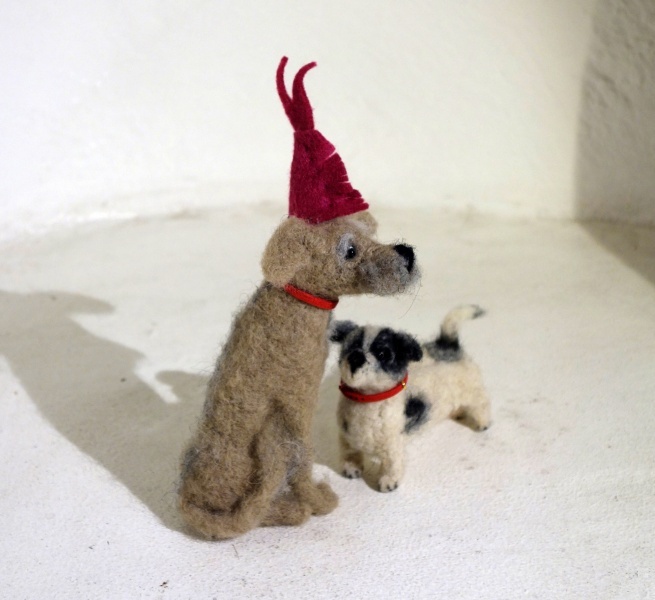 Original sculptural installation made completely of raw wool - using needle felting techniques. 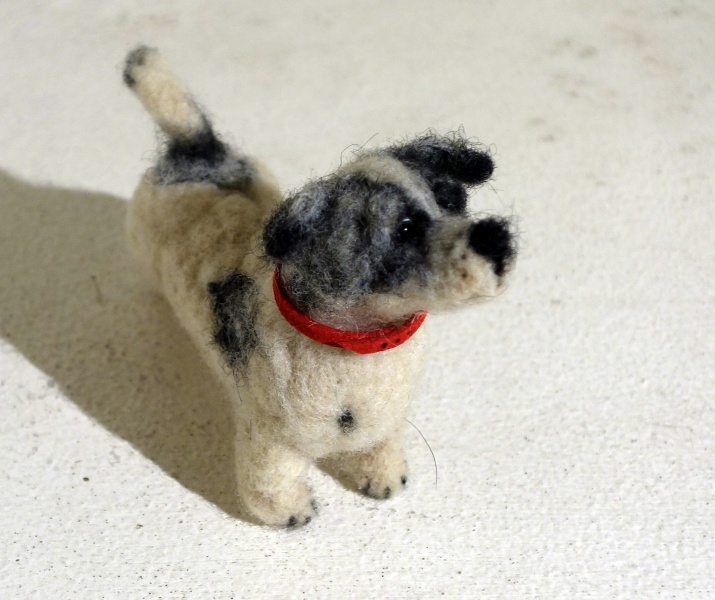 Made with mostly British raw wool - Shetland or Herdwick - because of its coarse texture. NB. hat and scarf are a seasonal addition and are removable. New owner information: These little homeless dogs want nothing more than a loving home. Like some rescued dogs, they have issues.....they are not too happy at being handled too much, in fact at their happiest sitting on a shelf, out of harm's way, just being admired! 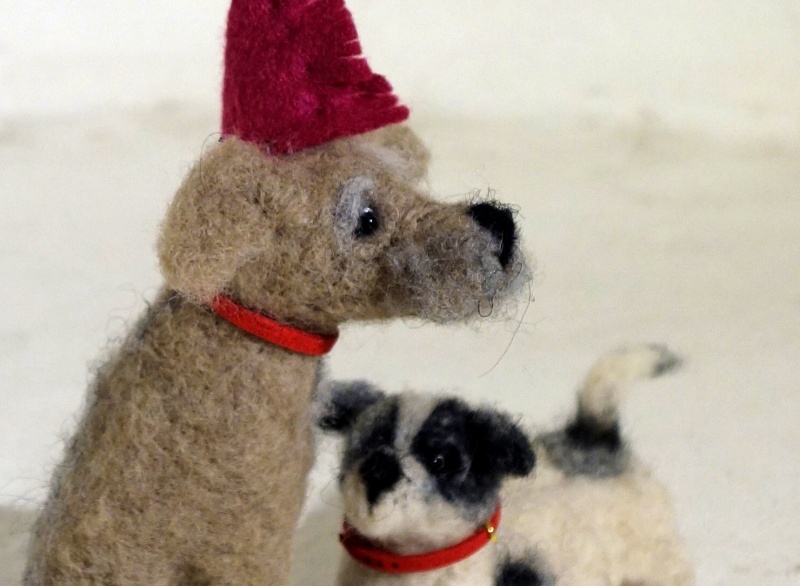 Dimensions are approximate as these 2 sculptural dogs can be rearranged to make different configurations of different sizes - or they could be displayed individually.